Earlier issues in the Guild Historical series of major recordings by the great English conductor Sir Malcolm Sargent have been widely acclaimed by leading critics across the globe, and on this new reissue, we couple two of Tchaikovsky's greatest and most popular works in truly legendary recordings. 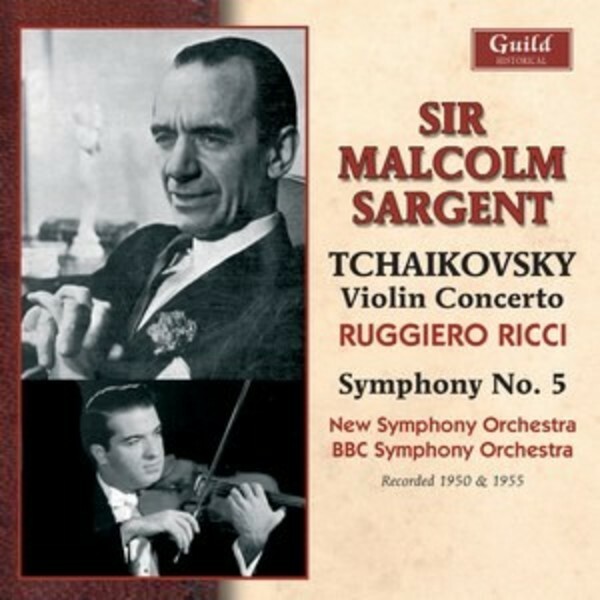 The Violin Concerto, with Ruggiero Ricci as the superb soloist, was the first LP version to be issued in Europe, setting the highest standards of musicianship, and the splendid account of Tchaikovsky's Fifth Symphony, was claimed by some distinguished commentators as being 'more exciting and more impressive than Karajan'. The transfers have been immaculately carried out.